Peter has been an educator for over 35 years and a kinsesiologist for the past 25 years. He originally taught Touch for Health, ran Edu-Kids self-esteem programs for kids and introduced Switch on Your Brain Programs into the classroom. He practices Applied Physiology and the LEAP program. He has developed his own course called Neuro Spiritual Integration which blends neurology with the spiritual aspects of our being to open up the potential for greater human experience. Peter studied Neural Organisation Technique originally 22 Years ago and began instructing in NOT in 1997. When Carl Ferreri DC, the founder of NOT, passed away in 2007 Peter & a German kinesiologist Evelyne Rupp became directors of NOT International. He has taught over 800 students the first level of NOT and has had many graduates fully qualified as NOT practitioners including chiropractors and kinesiologists. 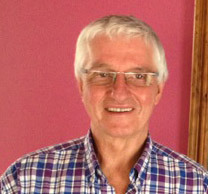 Peter has travelled extensively and has taught and run a busy clinic in the USA each Northern summer for over 15 years. He has also taught in Belgium & Austria and consulted in Italy. He specializes in structural problems from back & neck pain, neurological conditions including autism, Down’s syndrome, learning difficulties, pregnancy and birth processes, hormonal issues, PTSD, sports performance and spiritual development. He has an Applied Science Degree in human movement & has recently been conferred a doctorate in Transpersonal Medicine after many years of hard labour. He now practices in the South Eastern suburbs of Melbourne. Peter is also a Ceremonial Leader with the Spirit of the Earth Medicine Society (SOTEMS) is an initiated shaman in that tradition and has a keen interest in community and the arts. His teaching style is inclusive, animated, humorous and captivating. B.App. Sci. Human Movement, Doctorate Transpersonal Medicine, Dip Teach, Dip Trans Counseling, Advanced Dip. Shamanic Practice, Cert 1V Workplace Training and Assessment, MAKA, Co-executive Director NOT International.